Six multiplied by six equals thirty-six. Calculations produce tactics which in turn produce calculations. Each side depends upon the other. Based on this correlative relationship, ploys against the enemy are devised. Rigid application of Military theory will only result in defeat on the battlefield. 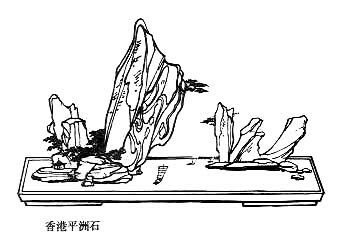 Whereas other Chinese military texts such as Sun Zi's Art of War focus on military organization, leadership, and battlefield tactics, the Thirty-Six Strategies, this unique collection of ancient Chinese proverbs, are more suitably applied in the fields of politics, diplomacy, and espionage. Tactics such as the 'double cross', the 'frame job', and the 'bait and switch', can be traced back through thousands of years of Chinese history to such proverbs as 'Hide the Dagger Behind a Smile', 'Kill With a Borrowed Sword', and 'Toss out a Brick to Attract Jade' respectively. For the western reader the Thirty-Six Strategies offers timeless insights into the workings of human nature under conditions of extreme stress. The origins of this book are unknown. No author or compiler has ever been mentioned, and no date as to when it may have been written has been ascertained. All modern versions are derived from a tattered book discovered at a roadside vendor's stall in Sichuan in 1941. It turned out to be a reprint of an earlier book dating back to the late Ming or early Qing dynasty entitled, The Secret Art of War, The Thirty-Six Strategies. There was no mention of who the authors or compilers were or when it was originally published. A reprint was first published for the general public in Beijing in 1979. The original text is rather short (138 Chinese characters). It merely names each strategy followed by a brief explanation, often containing allusions to the Book of Change. Modern Chinese editions illustrate each one with various well-known anecdotes from folklore and even recent History. Original text in traditional Chinese characters was found at http://www.gchjs.com/bftl/36j.htm but link is broken, text can also be found in Chinese wikisource. English translation, from Verstaffen, with full introduction, is available at www.chinastrategies.com. La traduction française de "Doc Mac Jr", avec une introduction développée, est disponible à spinoza.lautre.net. French, François Kircher, Les 36 stratagèmes, Editions du Rocher, 2003, ISBN 2268039056. Wikipedia : Thirty-Six Strategies (en). La bataille en question est celle de Mikata-Ga-Hara, le 25 janvier 1573. La technique de la ville vide fut aussi utilisée par Tokugawa Ieyasu au XVIe siecle pour dissuader les Takeda de l'attaquer alors que selon la légende il aurait fui avec seulement cinq samurais. Voir l'article sur Nobunaga et Tokugawa dans wikipedia. Cette technique a été utilisé par Zhou Yu lors de la bataille de Chi Bi, il avait fouetté Huang Gai en public, par la suite, ce dernier déclara vouloir rejoindre le camp adverse mais une fois arrivé dans le camp ennemi, il y mit le feu et assura la victoire face à Cao Cao. La technique de la ville vide a été utilisé par Zhuge Liang contre Sima Yi. l'époque de la dynastie des Ming (1366-1610): les dates des Ming sont généralement acceptées pour être 1368-1644.
hiya, thanks for all these translations, but there are some errors in 36 ji, number 21.. In it, it was said that Liu Bei is Chang Fei's general, this is wrong, Liu Bei is ruler of Shu and Zhang Fei, the 3rd sworn brother of Liu Bei (Guan Yu is the 2nd), is a general of Shu. During Zhang Fei's single handed face off with CaoCao's men at Chang Pan bridge, he shouted 3 challenges and Cao Cao's men did not respond to any of it. on the 3rd challenge, one of Cao Cao's men was shocked and fell off his horse and was killed instantly.